Using application models and snapshots, track which components make up an application so they can be deployed and tracked together. Orchestrate the deployment of applications by defining parallel and sequential activities using drag and drop functionality. 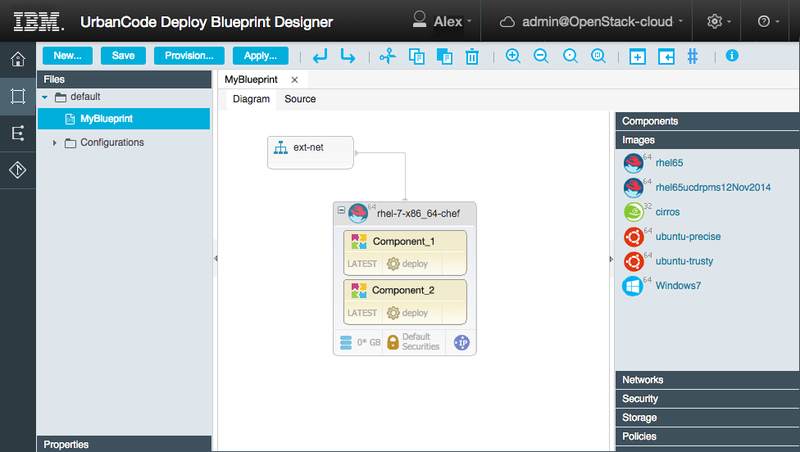 Model cloud environments and how your applications are deployed to those environments in a simple graphical editor. The Inventory system tracks what is where and provides visibility into your applications, environments, and configuration. Tested integrations are provided with dozens of tools to make the deployment process easier to design and less risky. The architecture is designed to scale to meet enterprise requirements: high availability, horizontal scalability, quick response and tight security. Ensure that only the right stuff goes out at the right time. Quickly provision an integrated toolchain using customizable, shareable templates with tools from IBM, third parties, and open source. Automate builds and tests, controlling quality with analytics.